A federal district court in Massachusetts determined that Bill Cosby’s insurer has a duty to defend the former entertainment icon in three defamation suits despite potentially applicable policy exclusions because the defamation claims did not necessarily “aris[e] out of” sexual misconduct. In AIG Property Casualty Co. v. Green, Civil Action No. 15-30111-MGM, 2016 U.S. Dist. LEXIS 154881 (D. Mass. 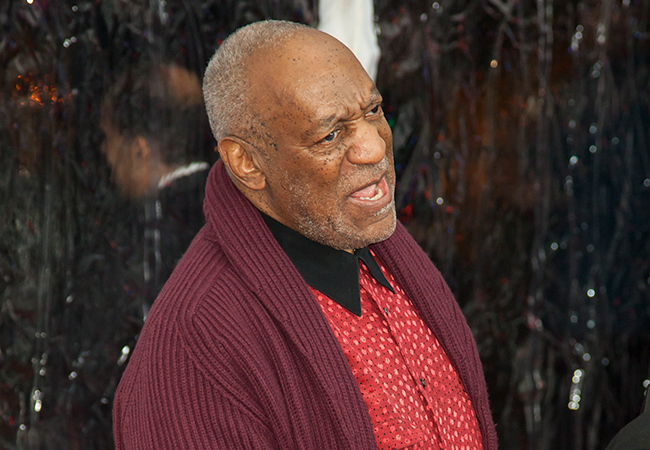 Nov. 8, 2016), the court dismissed an insurer’s attempt to obtain a determination that it had no duty to defend Cosby, finding that the underlying claims for defamation were too attenuated from the alleged sexual misconduct to fall within exclusions for claims “arising out of” sexual misconduct. The underlying defamation cases involve allegations that alleged victims of Cosby’s sexual malfeasance were defamed when Cosby and his spokespeople falsely and publicly denied the accusations. The two policies at issue, a homeowners policy and a personal excess liability policy, each provided Cosby coverage for “personal injury,” including “[d]efamation,” yet also contained exclusions barring coverage for personal injury “arising out of” sexual misconduct. The court performed its analysis under both California and Massachusetts law in light of an alleged conflict of laws resulting from a related California declaratory judgment action involving Cosby and another alleged victim. The California action implicated another homeowner’s policy in addition to the subject Massachusetts homeowner’s policy and personal excess policy. In the California action, the federal district court determined that the exclusions did not unambiguously bar coverage, even though the alleged sexual misconduct was the subject of the defamatory statements. The district court reasoned that the sexual misconduct did not “directly caus[e]” the injury. Importantly, the court compared the exclusions at issue to a separate exclusion in the excess policy, applicable to “Limited Charitable Board Directors and Trustees Liability,” which excluded coverage for claims “arising out of, or in any way involving, directly or indirectly, any alleged sexual misconduct.” (Emphasis added by the court.) The California federal court found that the language of this separate exclusion was “unquestionably broader” than the exclusions at issue, and that the exclusions at issue could have, but did not, contain this broad language. The court thus concluded that the insurer’s decision not to include this broadening language suggested a narrow interpretation of the exclusions at issue was reasonable. The Massachusetts federal court similarly found here that the sexual misconduct exclusions did not extinguish the insurer’s duty to defend under either California or Massachusetts law. The court followed the California court’s analysis in the related case, finding that under California law the alleged defamation was not “part of” and did not “directly and proximately result[ ] from” the alleged sexual misconduct. In its analysis under Massachusetts law, the court held that although the language “arising out of” indicates a wider range of causation than proximate cause, there still must be a “sufficiently close relationship between the injury and the [excluded conduct]” for the exclusion to apply. The relationship here, however, was not sufficiently close here because Cosby’s injury-causing statements were “multiple steps removed” from the alleged sexual misconduct. Finally, the court emphasized that the broader language used by the insurer in the separate exclusion demonstrated that the insurer could have used that same broad language in the sexual misconduct exclusions at issue, and its failure to do so created the necessary ambiguity to find in favor of coverage for Cosby. This decision reminds insurers of the value of consistency of terms throughout the policy and how even slight changes in policy language can create unintended, adverse judicial interpretations of the policy provisions.